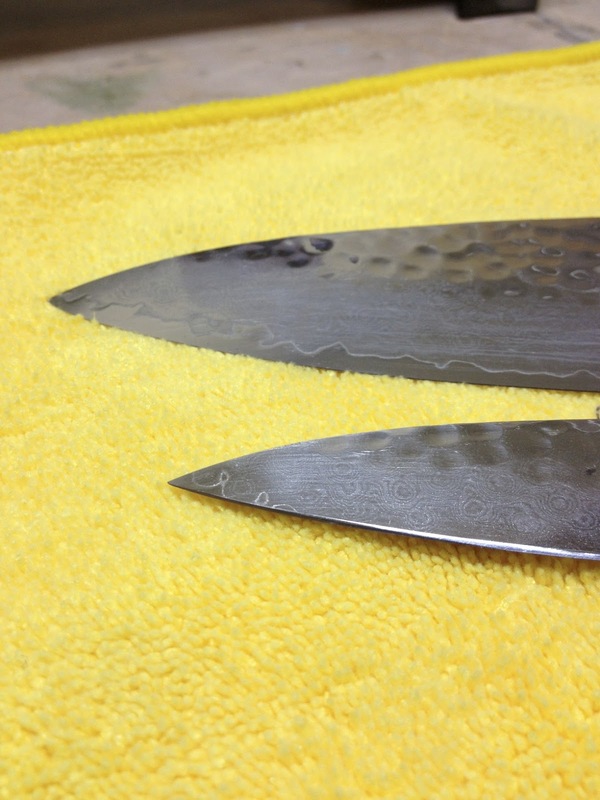 Knife Sharpening Using Traditional Methods: Why is it so important to have a sharp knife? Even though I sharpen knives every day and I get calls or emails from folks who want their knives sharpened, there are still millions of dull knives out there. So why not just use them for a few years or more as long as the knife is still cutting food? I guess a lot of people think this way, otherwise I would have a million knives to sharpen. 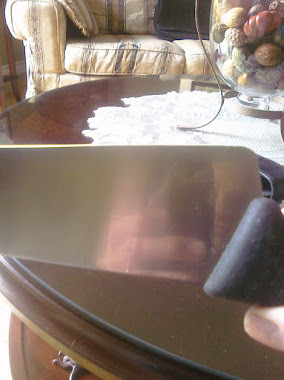 Technically speaking, you don't need a sharp knife to cut food, in fact, you could use a metal ruler and force it through food with a hammer if you had to, so a dull knife, I mean a really dull knife will still get through a roast, it will work but yup....you will be able to hack off some slices with a super dull knife. I know that anyone reading this Blog has an interest in knives and/or sharpening and also appreciates sharp knives. So it is foolish to think that a knife that is very dull is acceptable despite it's ability to tear something apart, force will eventually win out over the food being tortured. 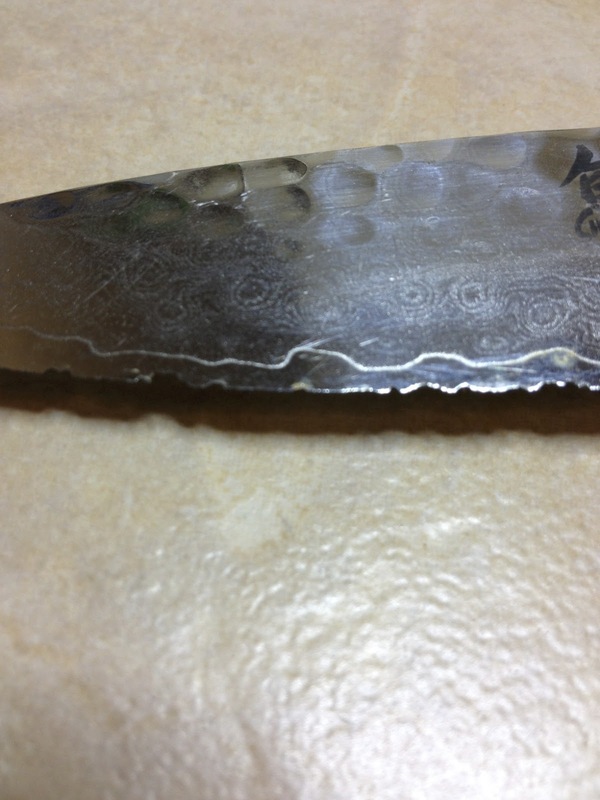 This knife which did eventually come to me for sharpening was in this state for quite some time, this doesn't happen over night. * We all need to eat, whether it is meat and potatoes or just veggies we need to eat every day. Unless we always buy our food pre-cut that food has to be sliced up at some point in time, we don't put a whole tomato on a plate or entire chicken....you got my point. Preparing food is part of our daily lives, why the heck would we want to spend the 10 minutes prep time struggling to cut that food up? It is very frustrating, the food prep becomes a chore, something you have to do to eat. Do we really want to face that every single day, two or three times a day when there is a simple solution. Remember when the knife was sharp, how good it felt to prepare food? A knife that is dull will slip off of the food you are hacking into to and if your finger is in the way, well that is going to leave a mark. There is no doubt about this, it will happen. Remember, that knife is dull, you're not enjoying what you are doing, you're completing a task, you're going to get bit eventually. * Dull knives hinder culinary creativity, you just get the job done, cut up the same ol stuff and that's it. You are not thinking of creating a new dish because that knife has to come into play, believe me, I speak to folks about this a lot. I am not making this up so that you will bring me your knife so I can get your money. 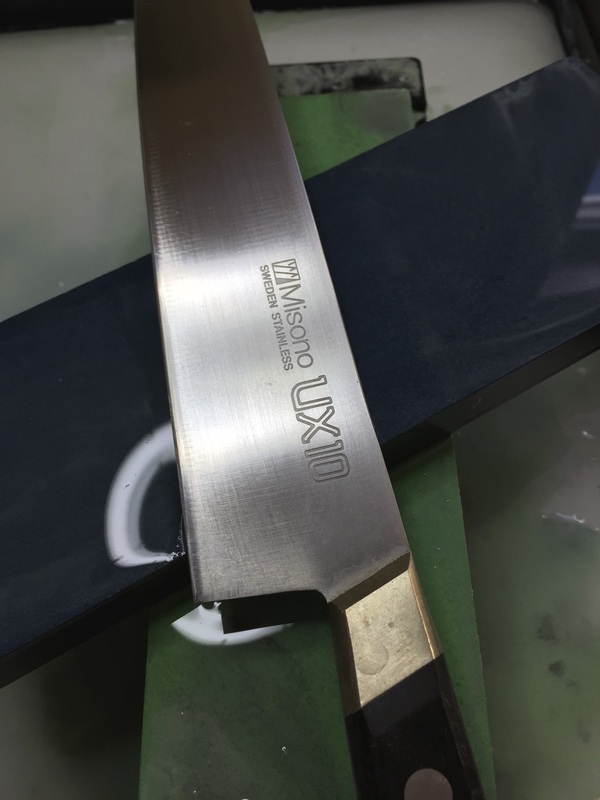 This is huge, I see a lot of dull knives in professional kitchens, it just really pisses me off to be honest, I don't get it. * Here is a really important reason: Dull knives can and will have a negative impact on the food at the molecular level, the cell level. 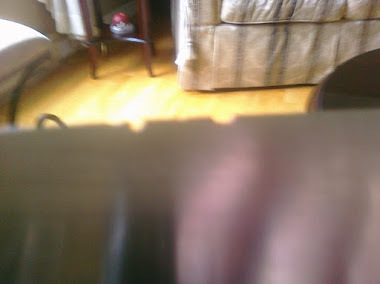 As it tears and saws through the tomato for example, that is after the dull knife has crushed it, the cells are torn apart causing collateral damage that allows juices to spill out all over the place, that food dries out quickly. In some cases, vegetables will change colour. * Dull knives just eliminate any of the joy that is associated with cooking. I get comments all the time from people who have had their knives sharpened who tell me that since they did they are cooking more, they are thinking of things to cook because it is joy to prepare the food. 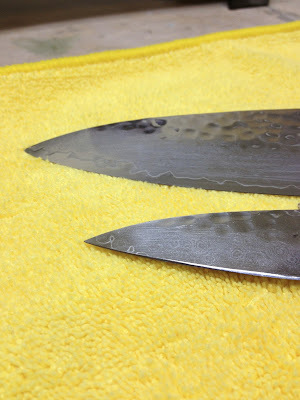 Now are dull knives worth having sharpened? 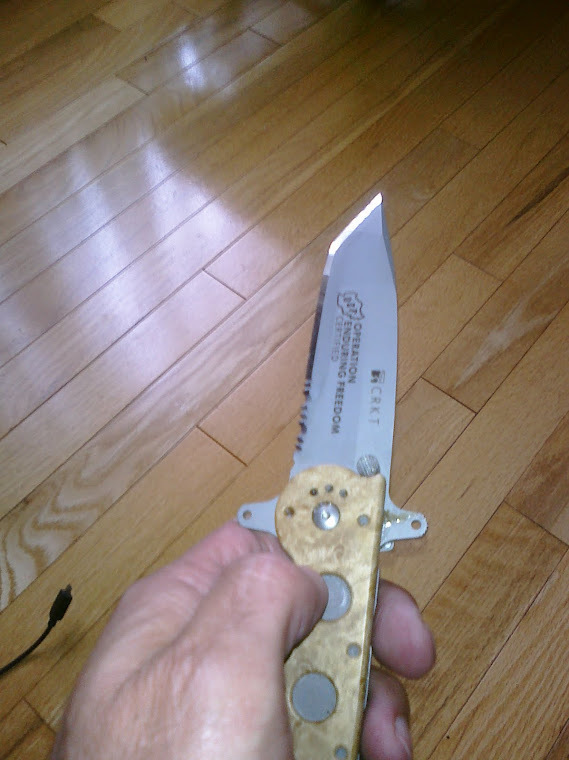 I will put it this way, there are knives out there that I don't care if they get sharpened. This unfortunately is true in the case of some restaurants where the house knives are shamefully dull, it really does boggle my mind but I have since given up on that. In just about every other case, yes it is worth it. If you have eight knives at home that are dull and you paid $75.00 for the whole block why would you pay that much to have them sharpened or even more? Just keep using them dull or throw them away and buy new ones, and start that cycle over again. That is very wasteful and not encouraged. 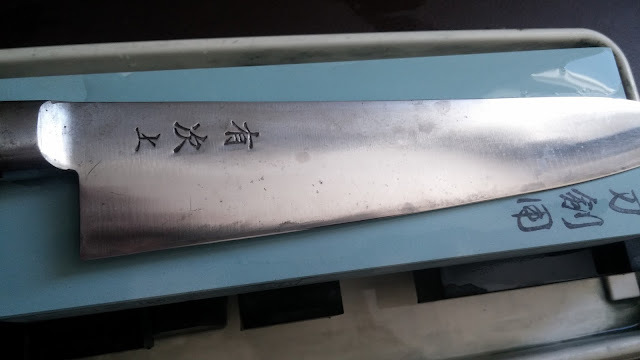 If you have a whole block of knives and want to experience a truly sharp knife, just get the Chef Knife sharpened, the one you use most and go from there. First of all I don't recommend buying a block of knives, get one good knife and you don't need a dream knife like these hand made beauties. 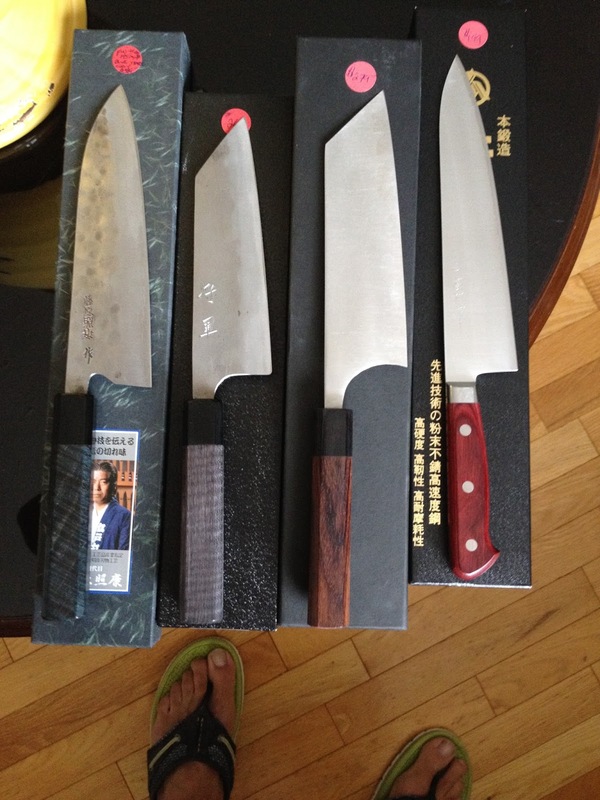 Just get a good eight inch chef knife and keep it sharp. Believe me, you will truly see a difference. Any of the senses you use while cooking will be elevated, you will see the knife as an elegant tool that enhances your food preparation. Thank you for reading and if you don't believe me, if you think I am just saying this to get money then that is your choice, but thanks for reading this far.